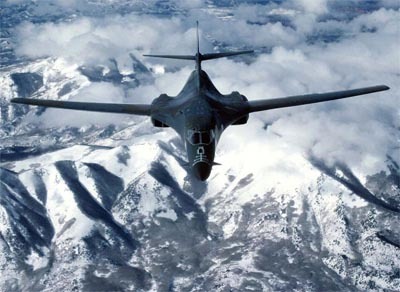 Cade Technologies - Hardware and components for the military and aerospace industry. Mil-spec, mil, military, spec, cpecification, MS, NAS, AN, Air, Force, Navy, National, aviation, stansdard. Cade Technologies is a stocking distributor of military-spec parts for the aerospace, defense, marine and fabrication industries. Recognized in the industry as a leading customer service-oriented parts supplier, Cade Technologies markets and distributes products for over 250 manufacturers and offers over 1,000,000 catalog items from customer service centers located in North America and Europe. With our fast delivery and availability, Cade Technologies is one-stop shopping. Click here to see our line card in a PDF format. 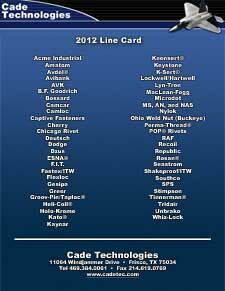 Cade Technologies is more than just a “nuts and bolts” distributor. We bring value to the supply network by effectively marketing parts and building relationships with our wholesale and retail customers in the U.S. and worldwide. Whether you are the purchasing agent, the engineer, the quality inspector or the CEO, your experience with Cade Technologies will be met with our full support, knowledge and service. Our key priorities are to continue to expedite necessary materials in a timely and efficient manner while understanding and meeting our customers' needs and requirements. We are centrally located within the U.S. which allows us to ship quickly and consistently to both coasts, the South and the Midwest. With 35 years of business experience, our management team has a strong background in customer relationship-building, multi-location management and sales leadership. Our sales team is specialized in the following areas of expertise in order to service the diverse needs of our clients: Aerospace, Airline, Circuit Board, Communication, Computer, Electronics, Fabricators, Government, Industrial Equipment, Instrumentation, Marine. We are committed to respond to your Request for Quote within 24 hours of receipt. Take a moment to key in your NSN (National Stock Number) and select your desired quantity, target price and the date needed in order for us to save you time and money on your next parts order.